Chicago real estate-agent Laurie Atkins is gardening beneath the relentless August sun when her dog’s frantic barks divert her to a dead body sprawled on the front acreage of her Wisconsin summer home. 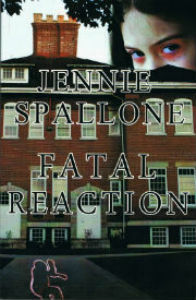 She rushes inside to phone the police, but the body has disappeared. Police chalk it up as prank call, and Ryan, Laurie’s health insurance adjuster husband, tells her she’s just hallucinating. Laurie begins to doubt her own sanity, until the unidentified body turns up on the driveway of Helga Beckerman, their devious neighbor. When Ryan skips town on the holiest day on the Jewish calendar, Laurie uncovers truths she’d rather deny. The couple is plunged into a web of blackmail and deceit that threatens to destroy an already teetering marriage and jeopardize the life of their young son. Her family in peril, Laurie enlists the help of two women she thinks she can trust: former Chicago Tribune investigative reporter Mitzy Maven, and tough-talking CPD detective Maggie O’Connor. One foggy November morning on Chicago’s West Side, paramedic trainee Beth Reilly faces a life or death choice that will put her own future in jeopardy. High on cocaine, her veteran paramedic officer slams into a homeless, pregnant woman, forcing the woman into labor. Beth alone must decide who will live, the fetus fighting for life or the mother who is hemorrhaging to death. She can’t save them both. Beth’s decision tests old friendships and creates new enemies. Her woman hating boss tries to destroy her career. An ambitious prosecutor decides her trial is his ticket to a judgeship. A religious zealot treats her as a sacrificial lamb, diverting suspicion from the woman he loves. A handsome professor enters her life, but is the timing coincidental? 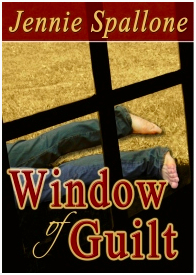 When one of her tormentors dies suspiciously, Beth realizes her choices have turned deadly. 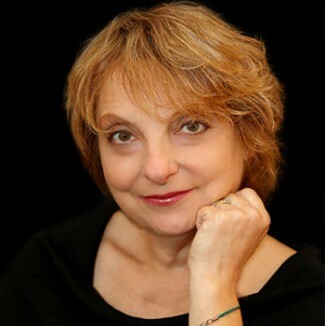 “I just finished your book, Deadly Choice and am writing to say “good job.” I enjoyed the pace and action – you really did your homework on this.” Patricia S. “I want to say I did enjoy [your book]…because it is all true, human nature is awful sometimes. 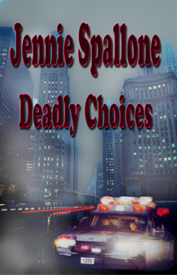 Also living next door to three paramedics myself, their families who were firemen and policemen, I have heard quite a lot of stories from them to raise the hairs on the backs of one’s neck.” Gayle W. “Just wanted to drop you a note and say how much I enjoyed your novel, Deadly Choices. The readings really hooked me, so it was great to have the whole book to savor. I felt the characters were well drawn, Beth is a very likable person and I hope you plan to revisit he in future fiction. Her partner, Angie, not so likable, but so interesting – I wonder about her back story. Anyway, thanks for a great read and for providing matter for much discussion in my household. Looking forward to more from you.” Liz G. “I was hooked very quickly. The story line wasn’t very predictable which was great…kept me thinking. Honestly, I didn’t know what to expect from your book, nor did I think it would be for me. I’m glad I didn’t just close my mind to it. It was a fascinating story. I could see your book being turned into a TV movie very easily.” Dan B.